You don't need to have seen The Room in order for The Disaster Artist to work, in fact may actually help if you haven't. 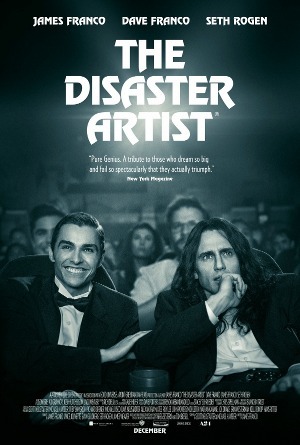 During the closing credits we see the film's recreated scenes with the originals side-by-side informing us, unbelievably, that The Disaster Artist doesn't embellish for comedic effect. It doesn't need to; The Room is actually that bad. As with Best Worst Movie, we see that sometimes a movie about a bad movie can actually turn out to be pretty good. Without excusing the horrendous filmmaking that went into The Room, Franco and friends find a well to celebrate the creative experience itself, even when it leads to something completely unexpected.